PNG’s new satellite internet system, which will increase PNG’s internet capacity by approximately 30 percent, was officially opened on October 11. The critical investment by Australia saw its Foreign Affairs Minister, Marise Payne, join PNG’s Minister for Foreign Affairs, Rimbink Pato, yesterday for the event. Payne said the new system will benefit Papua New Guineans by reducing barriers to learning, improving private sector capacity and fostering job creation in the long term. 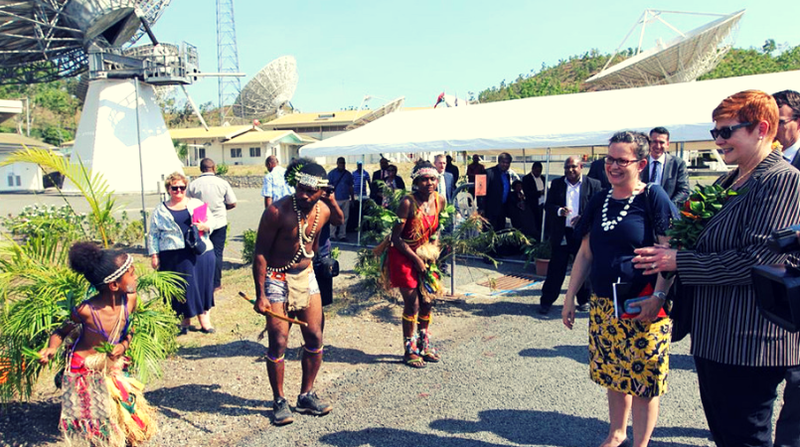 “In the near term, the project will boost connectivity for APEC meetings in Port Moresby in November,” she stated. “This investment is an important component of Australia’s broader internet connectivity support that includes the Coral Sea Cable System, which will connect Port Moresby and Sydney by a new fibre optic cable scheduled for delivery by late 2019.